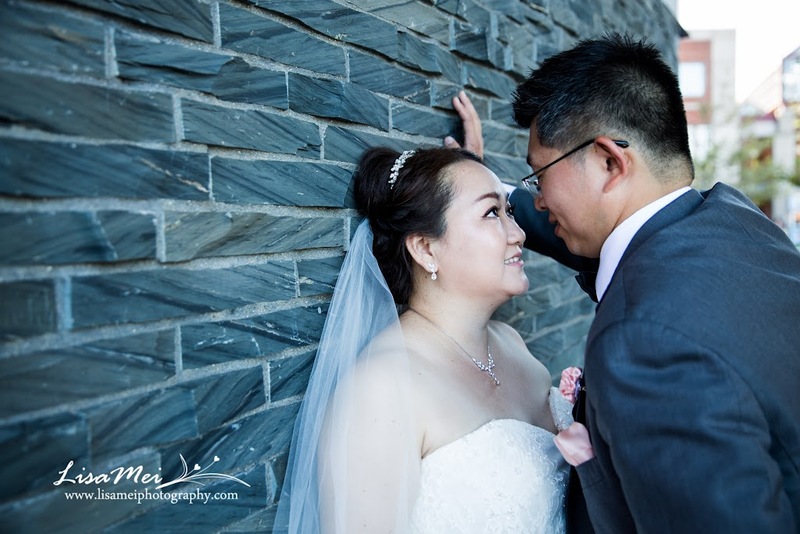 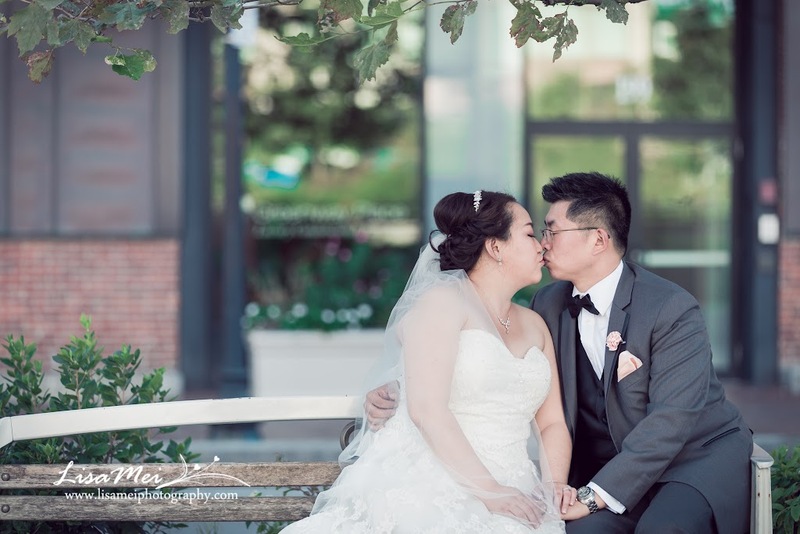 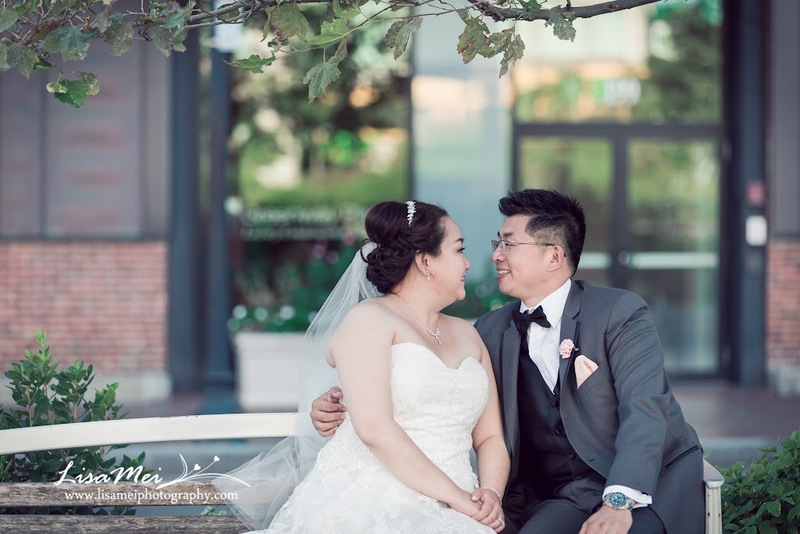 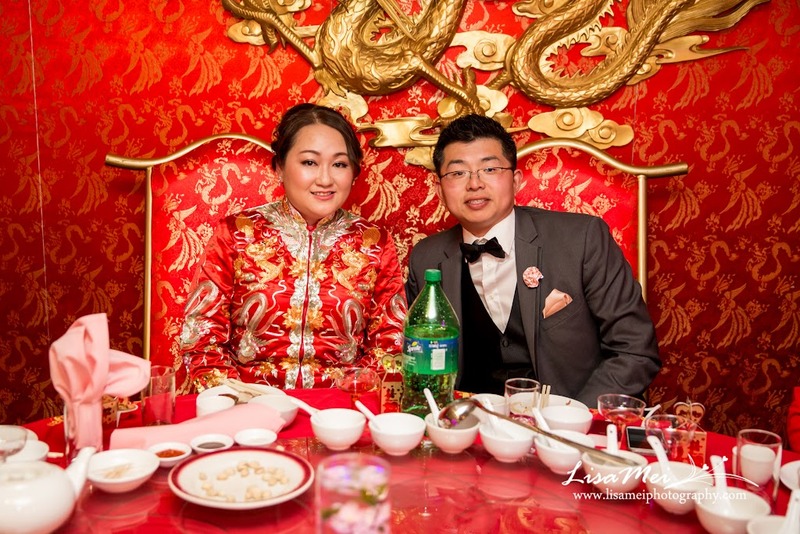 I was thrilled to meet Judy and Yu for the first time on their wedding day; I usually met couples prior to their wedding day for their engagement photos but they already had their prewedding photos taken when they were in China for visit. 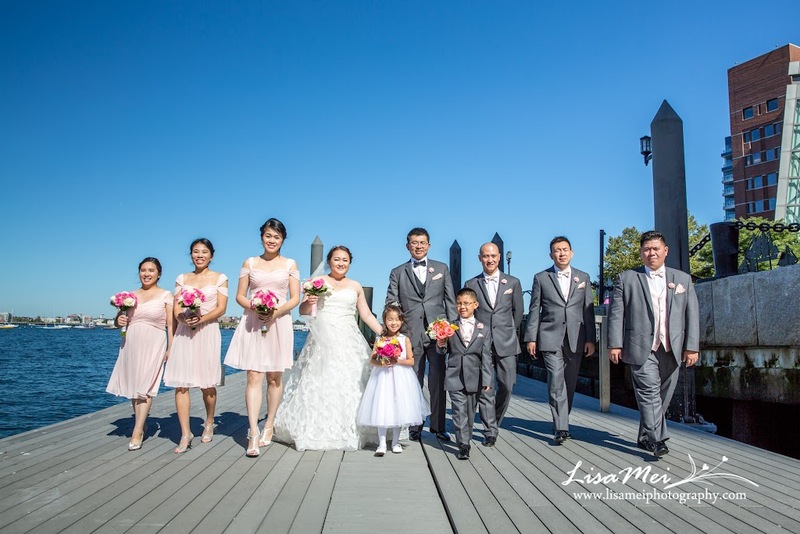 It was a weather perfect day for wedding – not too hot and not too cold, actually warm for end of September! 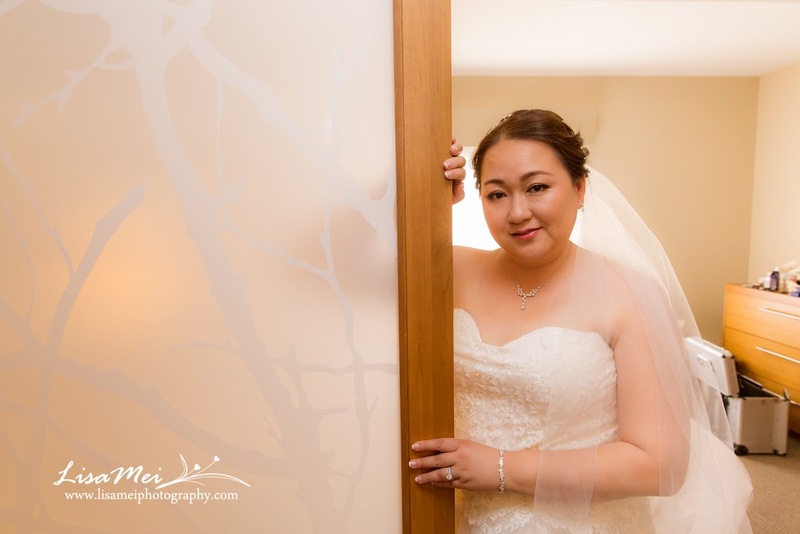 Judy and her bridesmaid got ready in Hyatt Place in Braintree and then the groom and groomsmen came to pick them up. 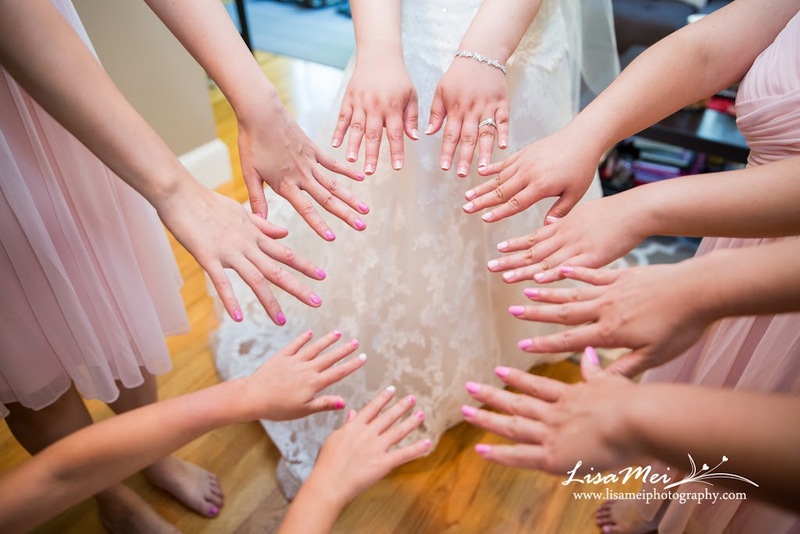 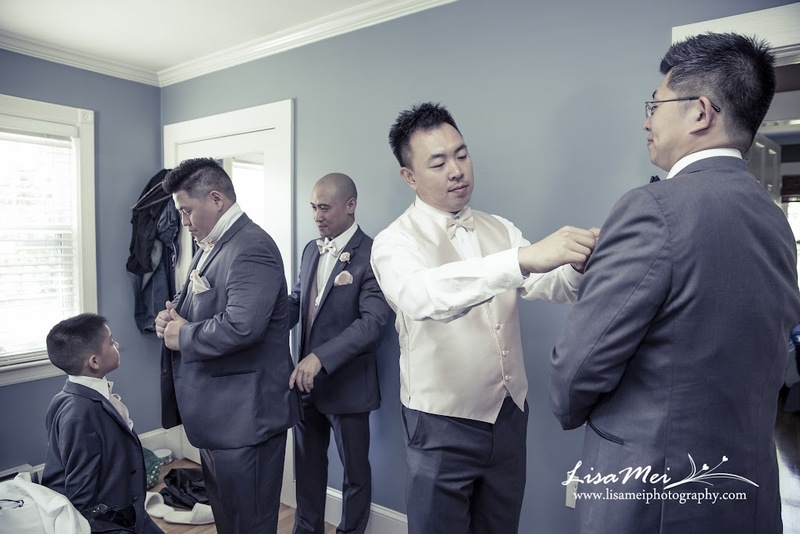 BUT before that, the guys had to went through few games to satisfied the bridesmaid before they were let in to pick up the bride – a Chinese tradition! 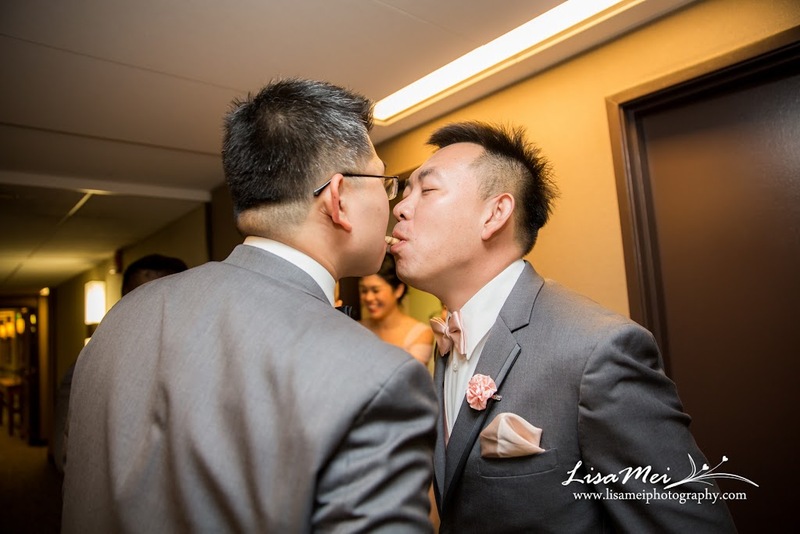 Games included two guys biting the same cracker stick and had to be exactly 1 in left, waxing their legs (I bet it was their first time ouch), and dancing of course! 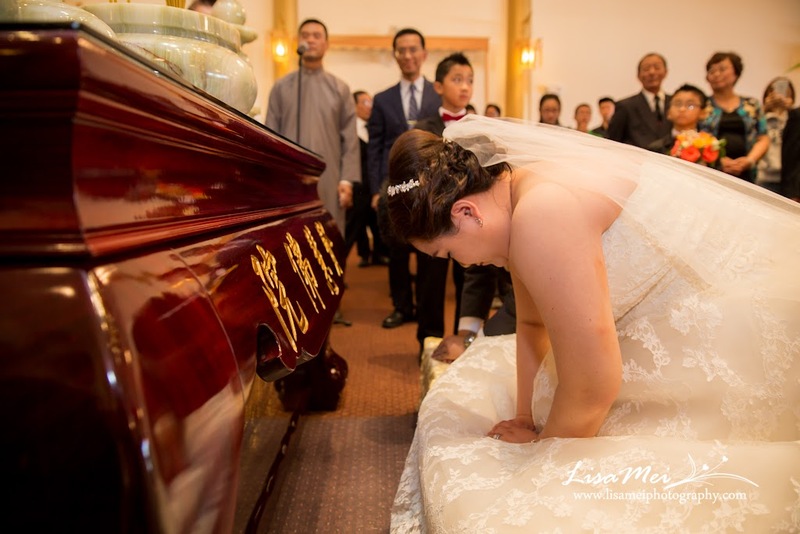 After they successful passed all the games, the whole bridal party headed to Tian An Temple for a quick but over-the-top ceremony. 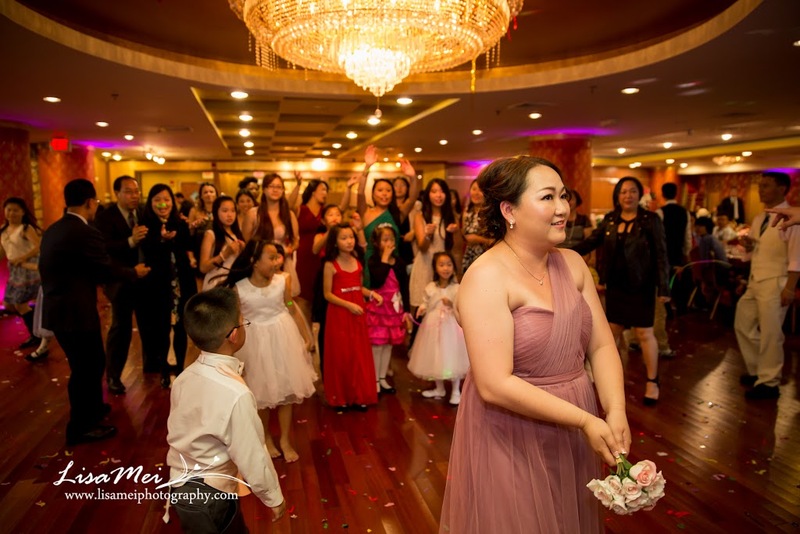 Many worshipers were there to congratulate Judy and Yu! 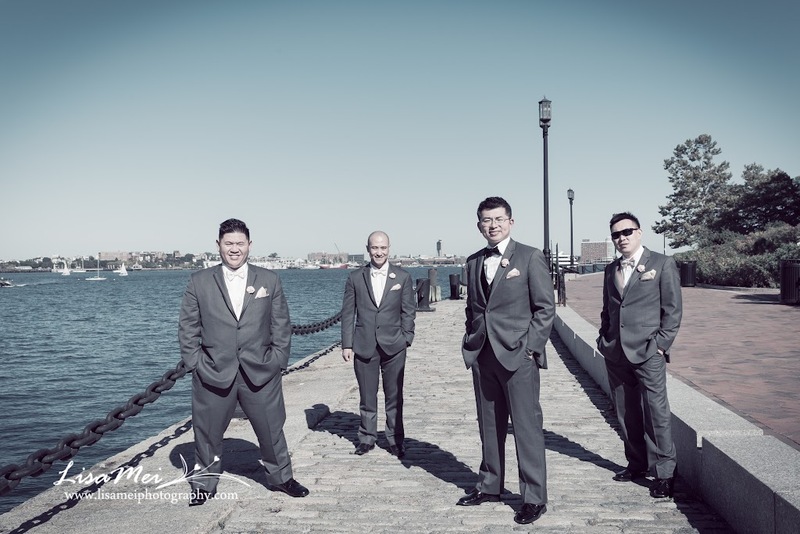 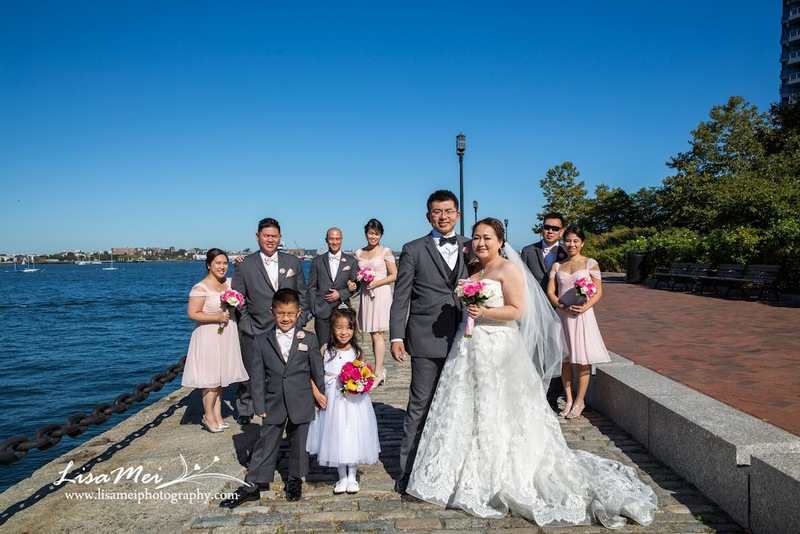 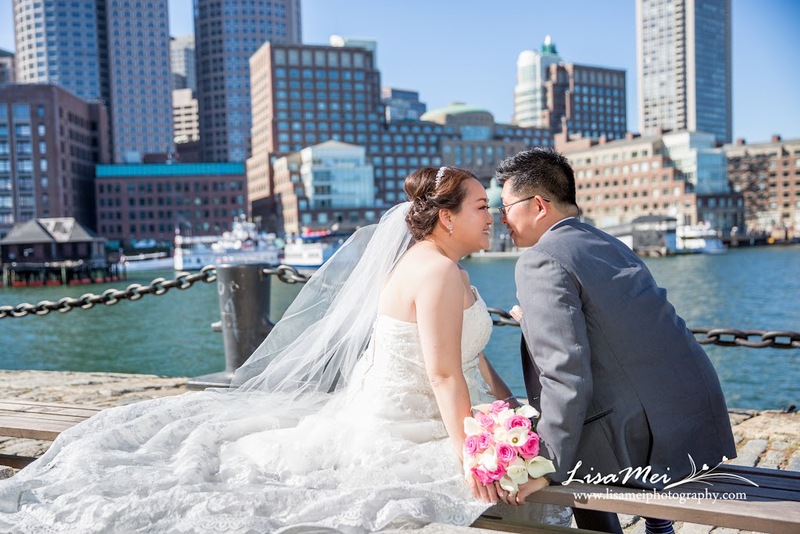 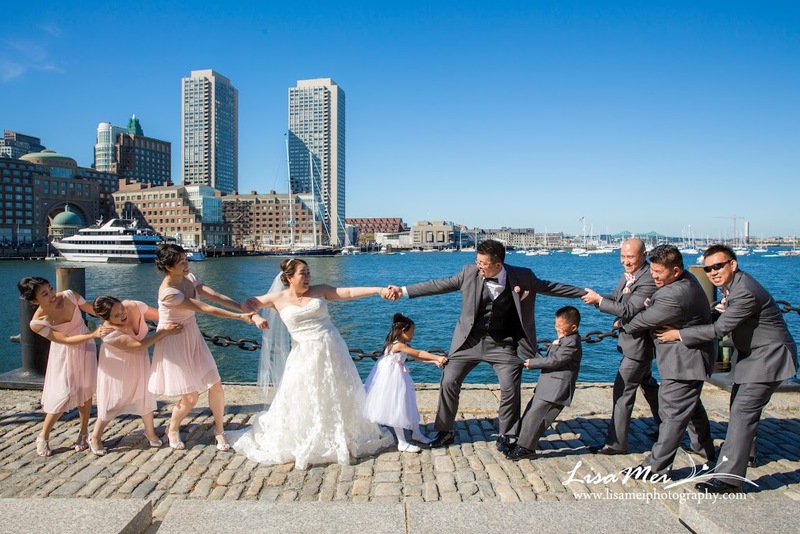 We spared two hours to my favorite photo spot in Boston – Fan Pier overlooking Boston Harbor for group photos. 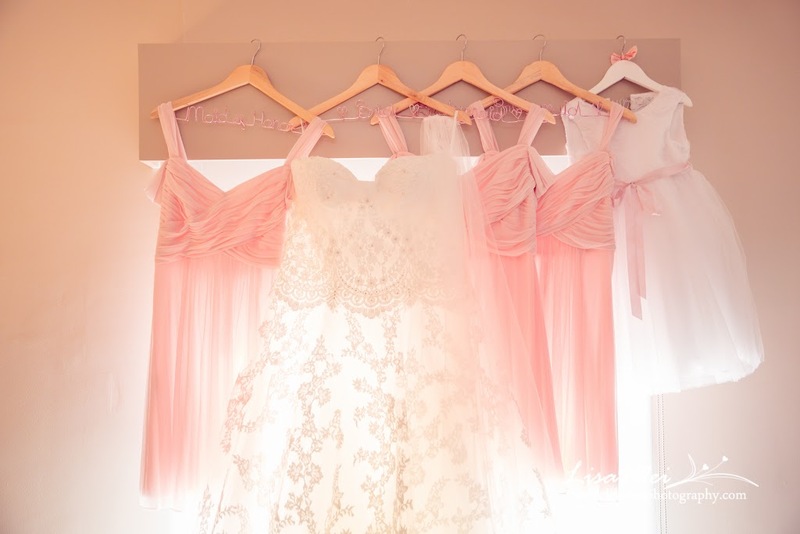 I love their baby pink outfits! 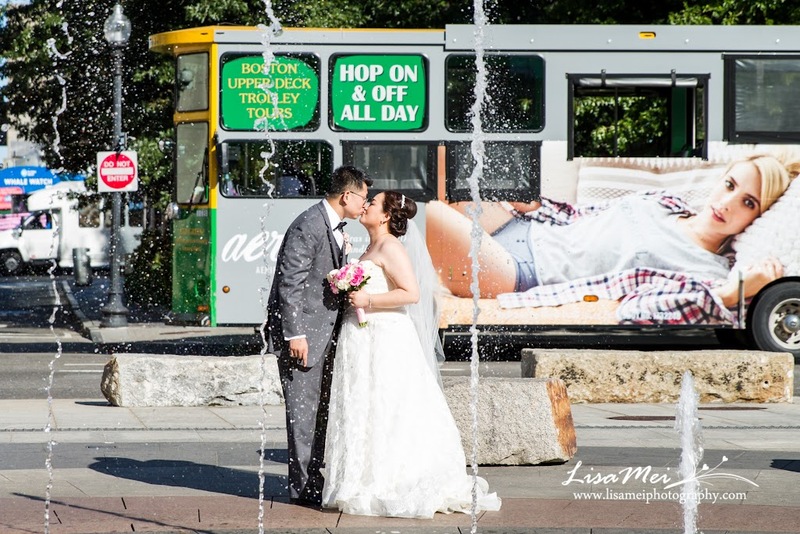 We also went to the Carousel and Rings Fountain at the Rose Kennedy Greenway. 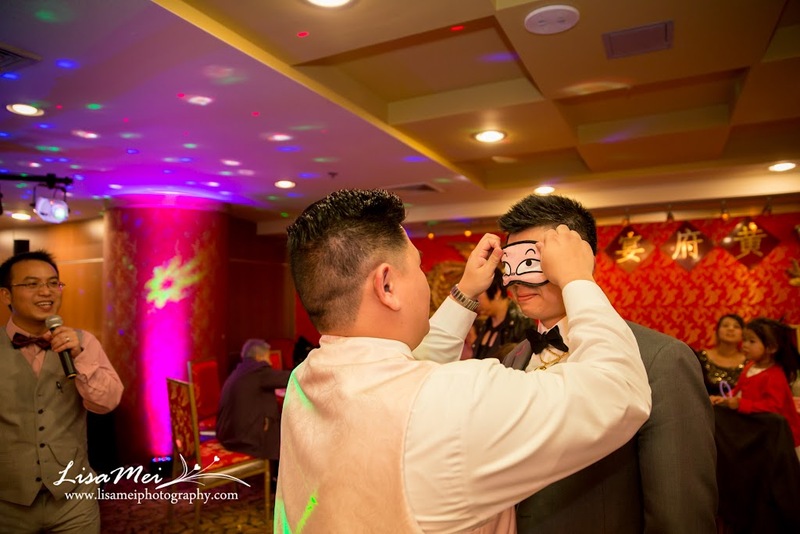 And of course always have time for selfies haha! 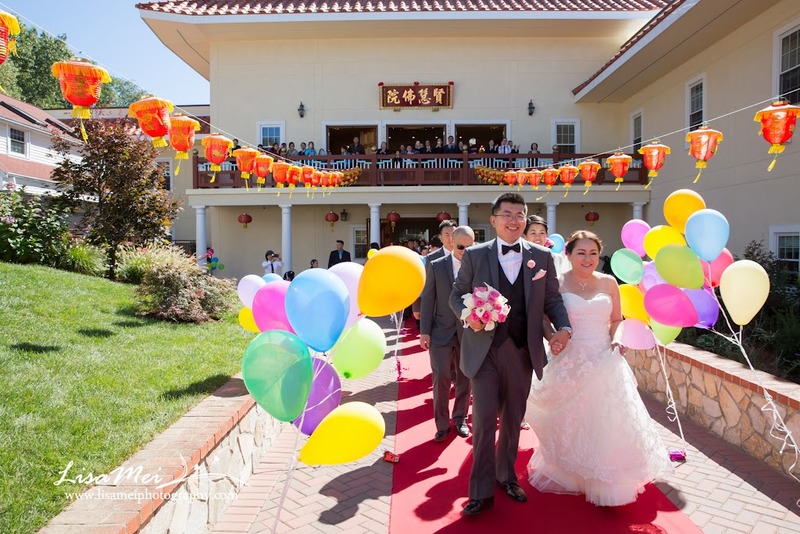 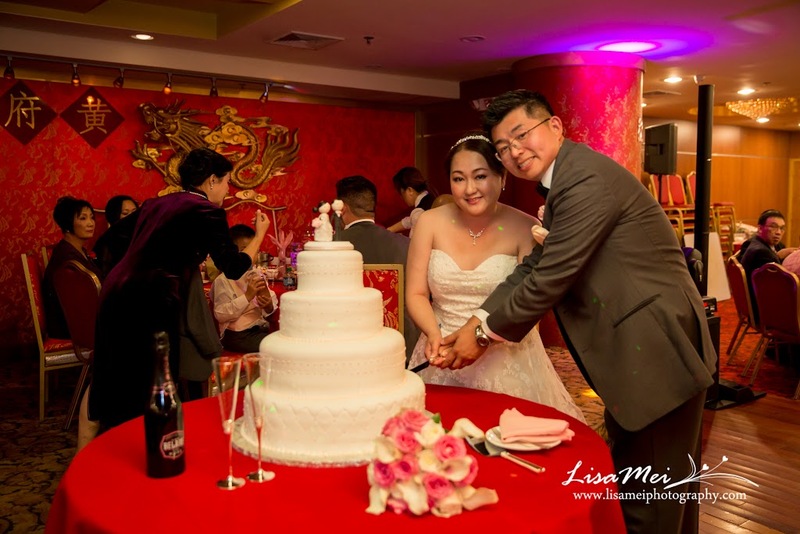 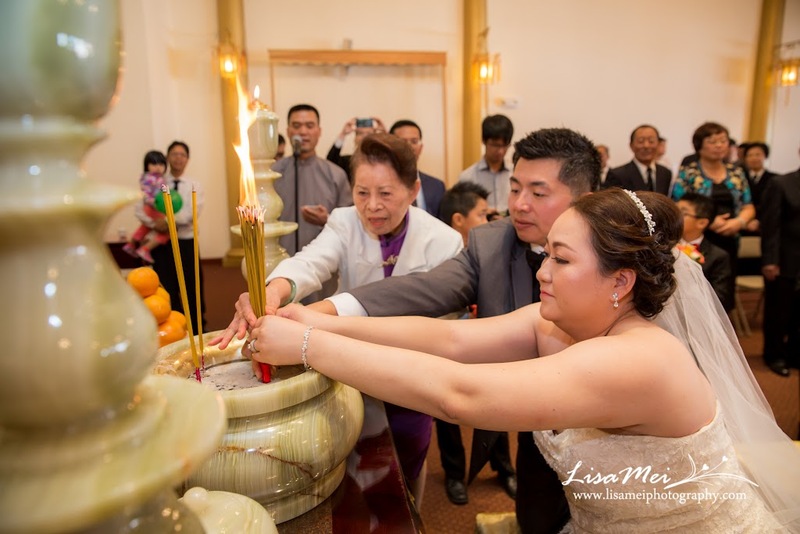 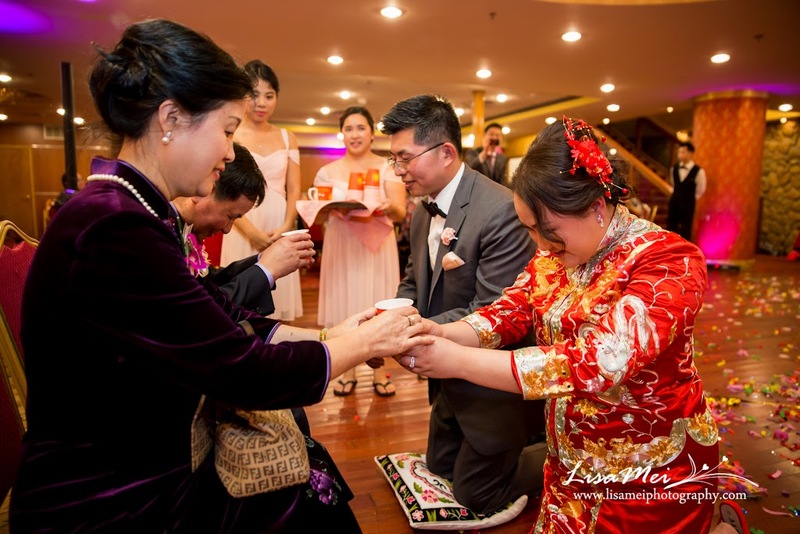 The reception was held in Hei Lum Moon where they also had their traditional Fuzhounese tea ceremony. 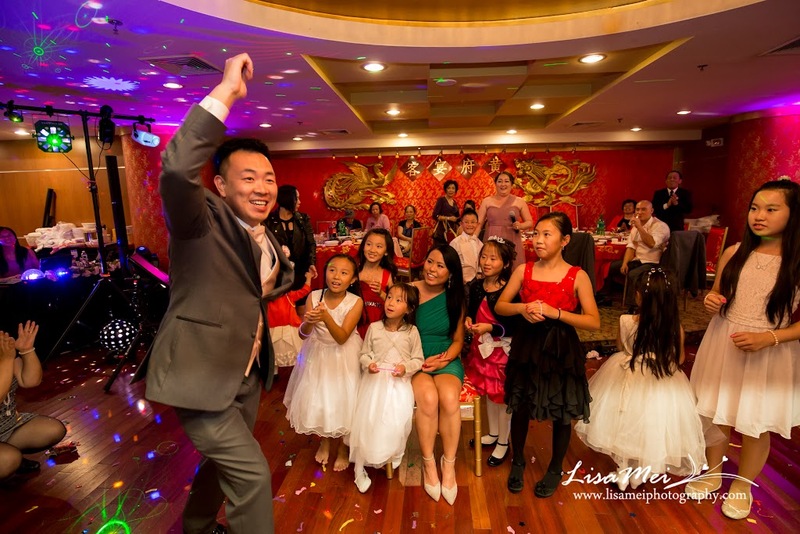 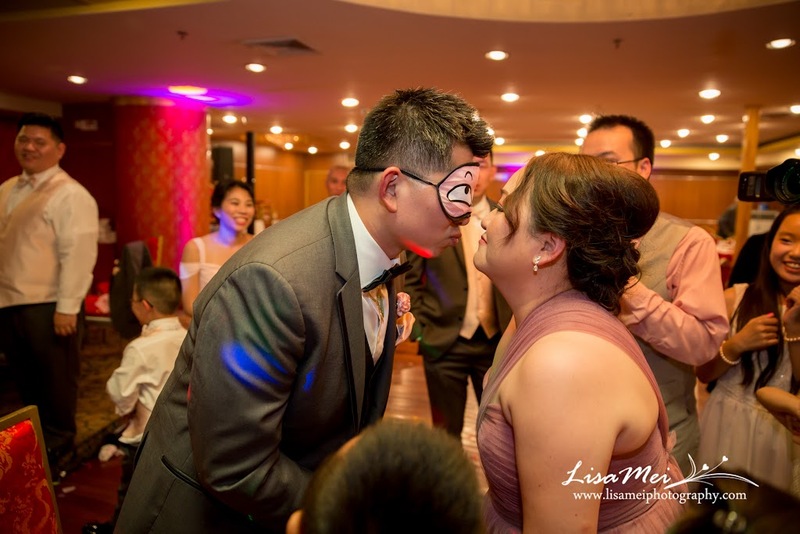 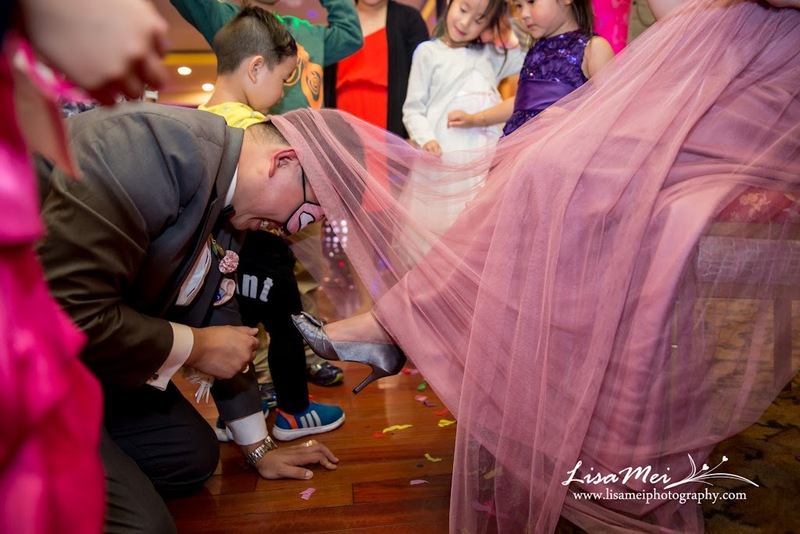 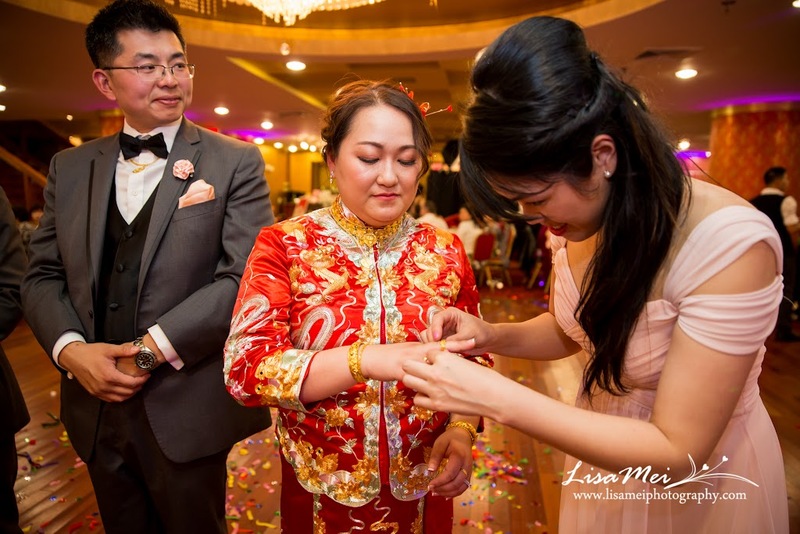 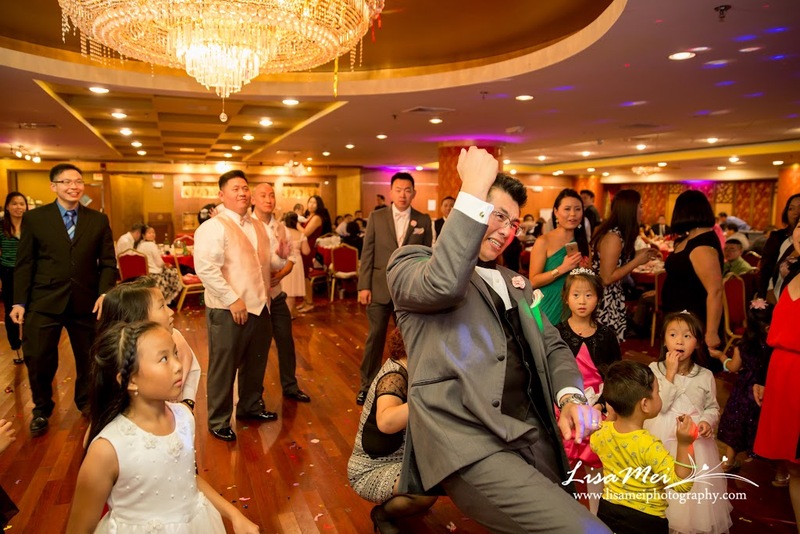 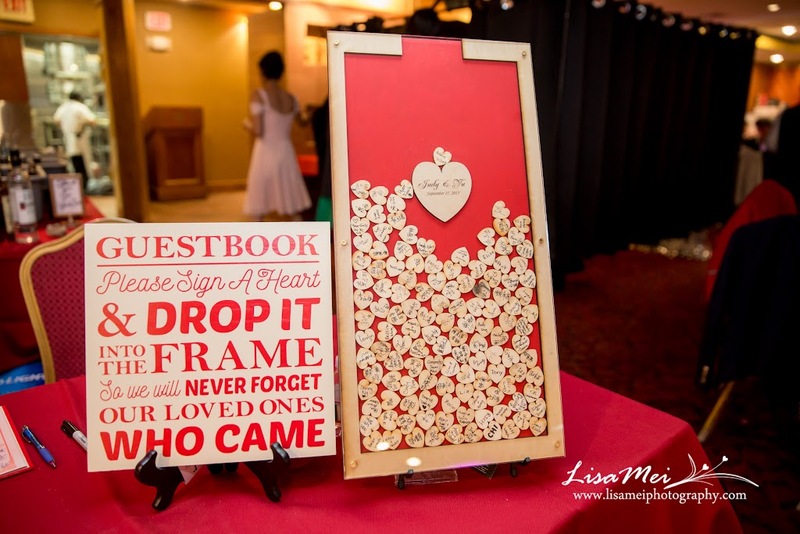 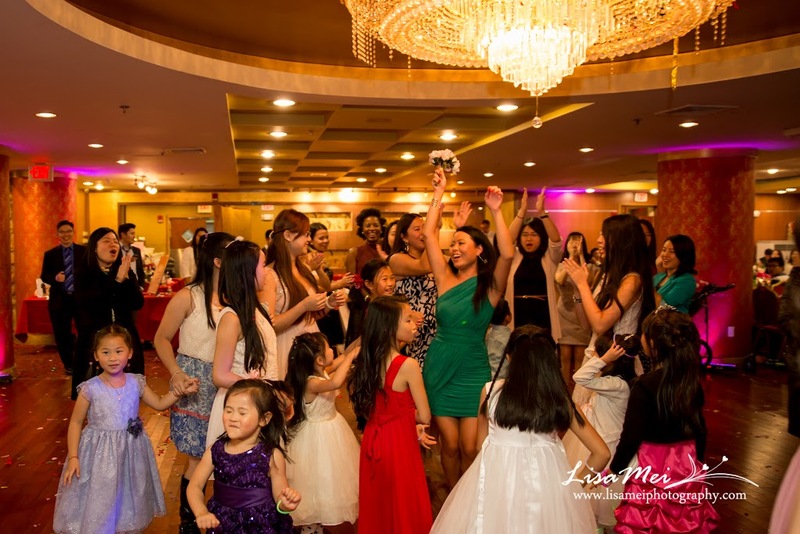 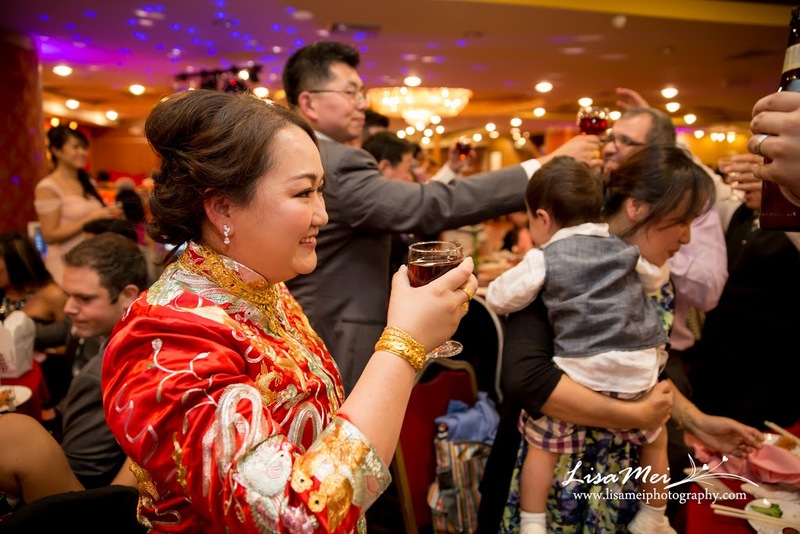 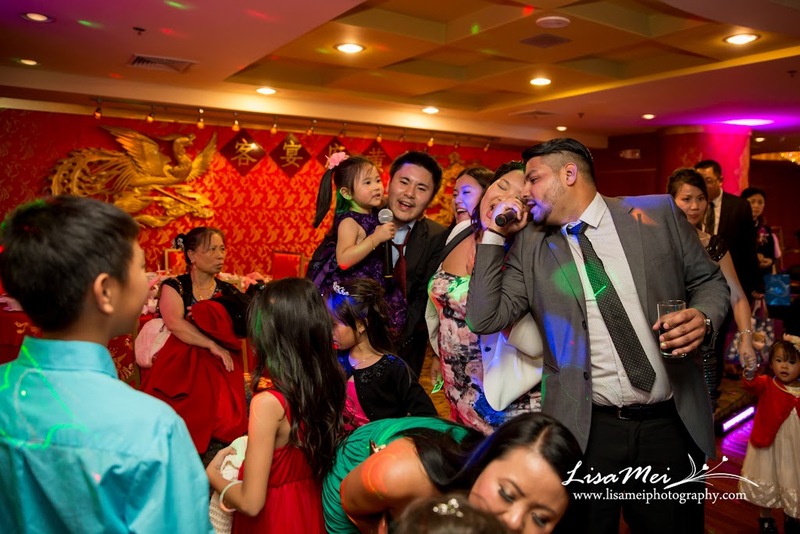 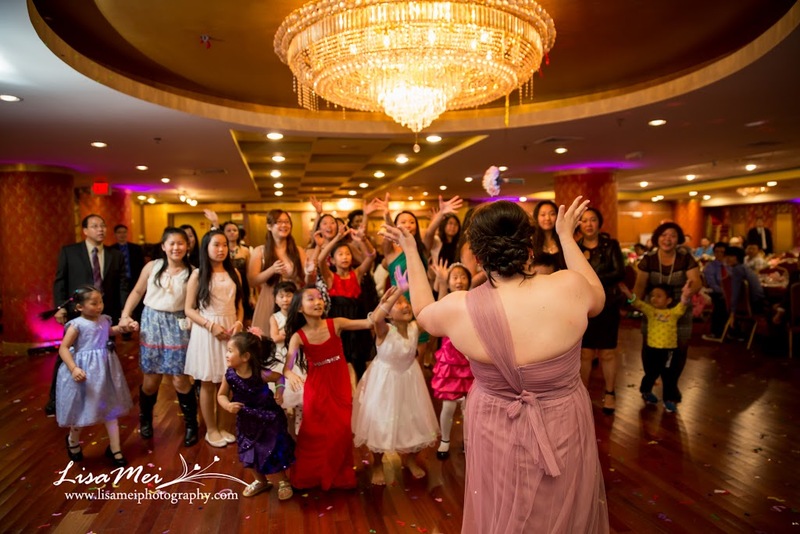 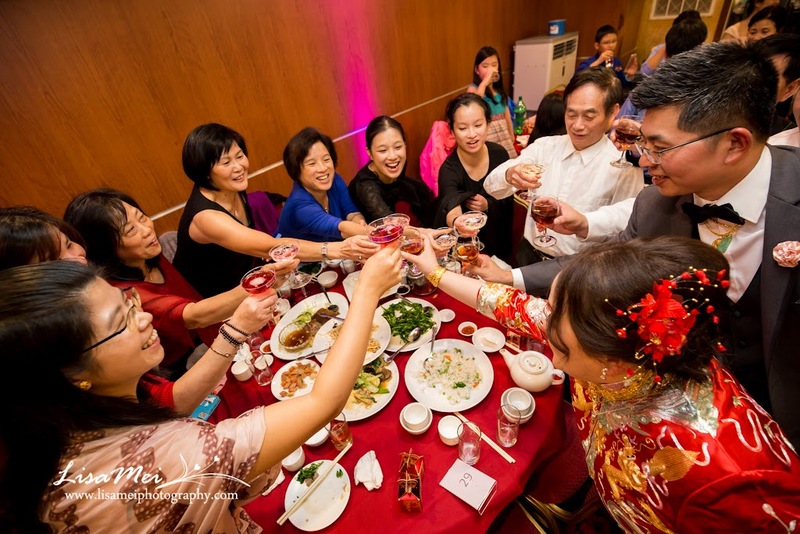 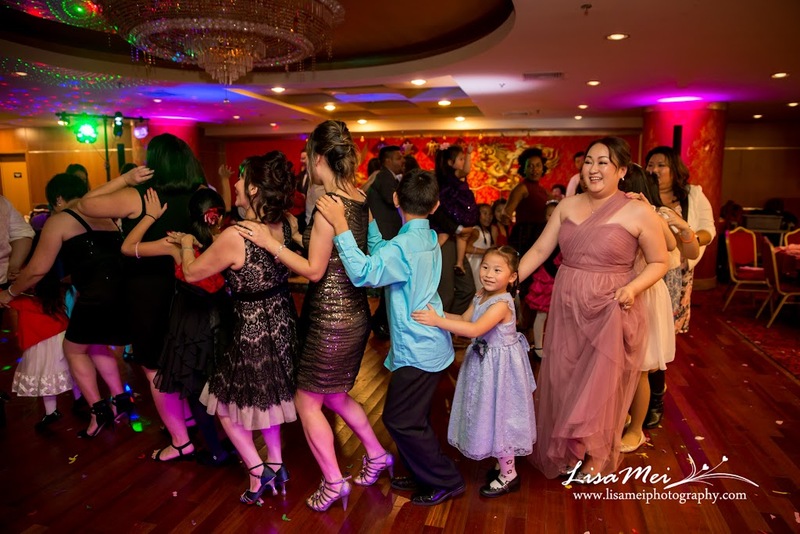 The night ended with dances and more games to “play” the bride and groom – another traditional Chinese custom! 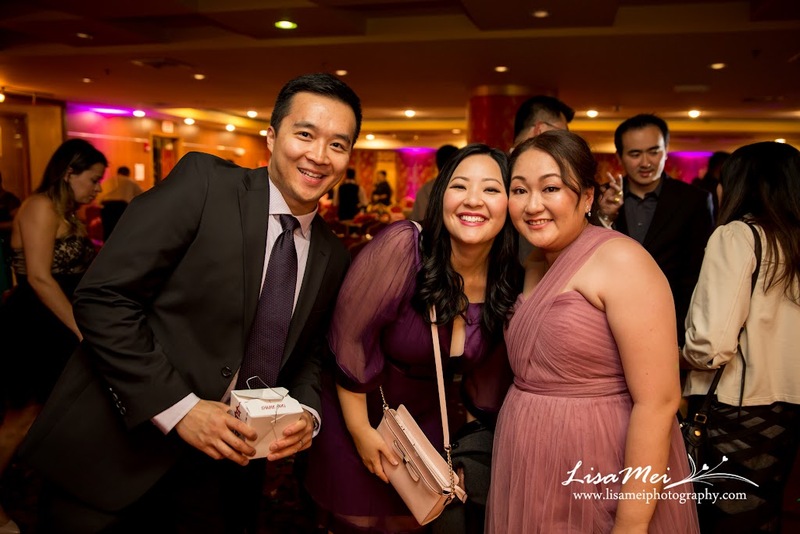 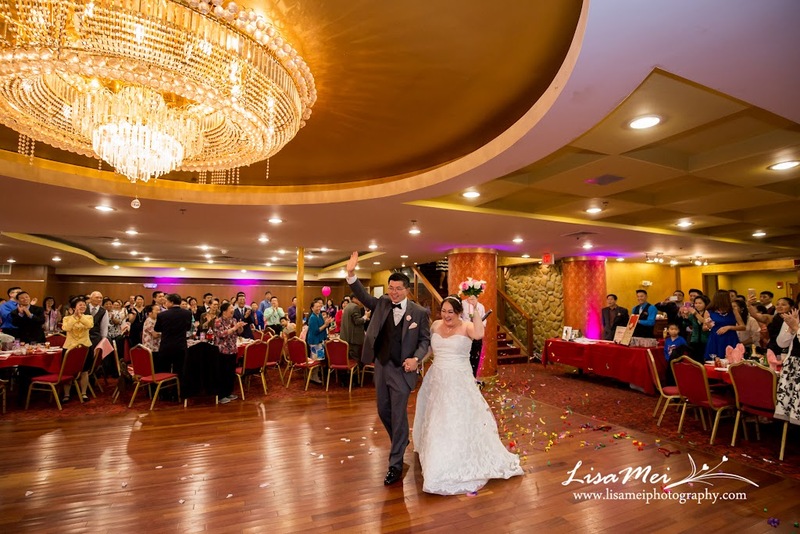 Judy – you looked stunning, beautiful wedding dress and night gown – my favorite purple! 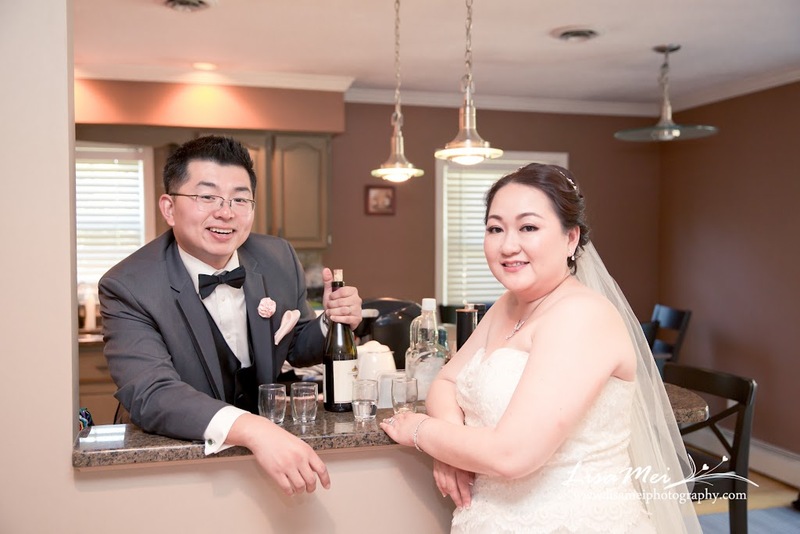 Best wishes to you both, congratulations!